Sitting in the sixth-floor conference hall in BP's headquarters in Central London on the afternoon of February 21 were two of the most powerful men in the world's energy business. One was the buyer and the other the seller. They were not at a negotiating table. That was all done and dealt with. It was a media conference for journalists in London and Mumbai to announce that UK's energy major BP would buy 30 per cent stake in 23 gas blocks owned by India's Reliance Industries Ltd (RIL), mostly off the eastern coast of India, and pay $7.2 billion for this. The man who agreed to write the BP cheque was Robert (Bob) Dudley, 55, who has also been heading this troubled company for less than five months now - the first American to do so. The other CEO who will soon be waltzing his way to the bank is India's most powerful businessman, Mukesh Ambani, head of RIL. The contrast of East and West could not have been more obvious. Ambani played the role of a quintessential and successful Indian businessmen - confident, yet very meek. His body language suggested that he knew what the questions were even before they were finished, yet he considered every question with a pause before answering. Dudley, on the other hand, held the floor for the day by orchestrating the question and answer session - effectively playing the host - despite the fact that the two groups were forming a 50:50 joint venture soon. It was a glimpse of Bob in control. The deal with Reliance, though portrayed as the biggest deal BP executed since Dudley assumed office in October last year, was only one of the big deals he had executed. In January this year, BP and Russia's Rosneft agreed to explore and develop three licence blocks on the Russian Arctic continental shelf that would cover approximately 125,000 square km in a highly prospective area of the South Kara Sea. This was an area roughly equivalent in size and prospectivity to the North Sea, BP had said. The deal also came with an element that was absent in the Reliance deal. 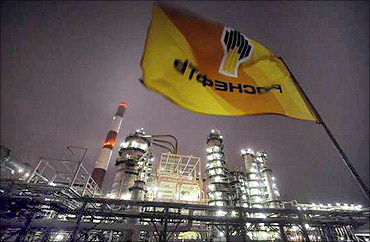 The agreement would see Rosneft hold 5 per cent of BP's ordinary voting shares in exchange for approximately 9.5 per cent of Rosneft's shares. The value of the shares BP was offering was valued at about $7.8 billion (while the Reliance deal for now is worth $7.2 billion). Dudley's colleague in BP's press office describes him as an approachable, yet a tough businessman - a quality revealed in the way he handled BP's differences with its Russian partners back in 2008. Toughness should also come naturally to Dudley, whose father was a naval officer. Dudley himself was born in a military base in Queens, New York City. A personal injury saw him drop out of a naval college and take up chemical engineering at the University of Illinois, followed by Masters in International Management from Thunderbird School of Global Management, and MBA from the Southern Methodist University near Dallas, Texas. This energy CEO has spent most of his working life in the oil & gas business. 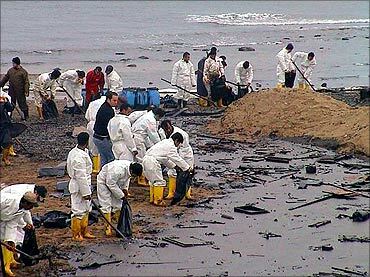 His last assignment before moving into BP London headquarters was that of president and CEO of BP's Gulf Coast Restoration organisation in the US. Despite the huge challenges faced by BP after the spill disaster last year in the Gulf of Mexico, which saw the company lose billions, Dudley continues to believe that the US would remain an integral part of BP's global business strategy. The group's recent moves into three BRIC markets (Russia, India and China), were more a "Look East" policy than "Look away from West". 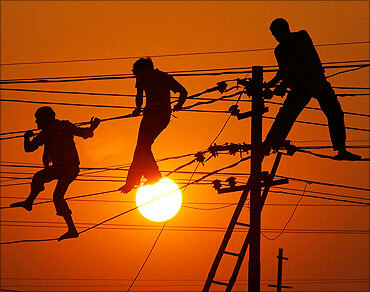 Moving deeper into these markets is about following fresh trends in energy consumption. Dudley believes, not very far from now, nearly two thirds of the global energy production would be consumed by emerging economies like India and China. He is simply placing BP in a vantage position for such an eventuality. "BP, being a global energy company, needs to be part of this growing opportunity," Dudley said at the press conference. His previous roles included those of the group vice-president responsible for BP's upstream businesses in Angola, Egypt, Russia, the Caspian Region and Algeria; and group vice-president for BP's renewable and alternative energy activities, including solar and wind. From 1994 through 1997, before the merger with BP, he was responsible for corporate development of Amoco's upstream and downstream businesses in Russia. He also worked on the restructuring of oil & gas R&D activities in the US, and, between 1987 and 1993, he was involved in the negotiation and development of projects in the South China Sea, according to his official resume. He was appointed to the BP executive management team and BP board of directors in April 2009.